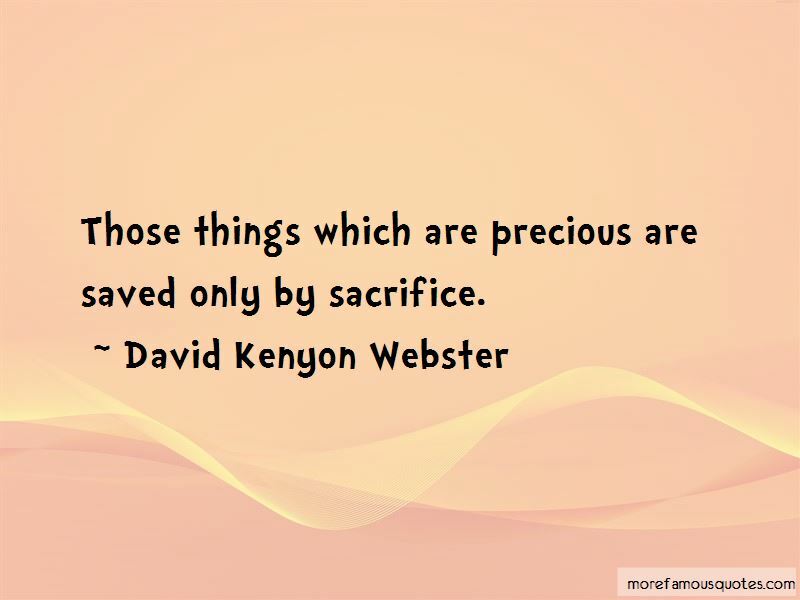 Enjoy the top 4 famous quotes, sayings and quotations by David Kenyon Webster. 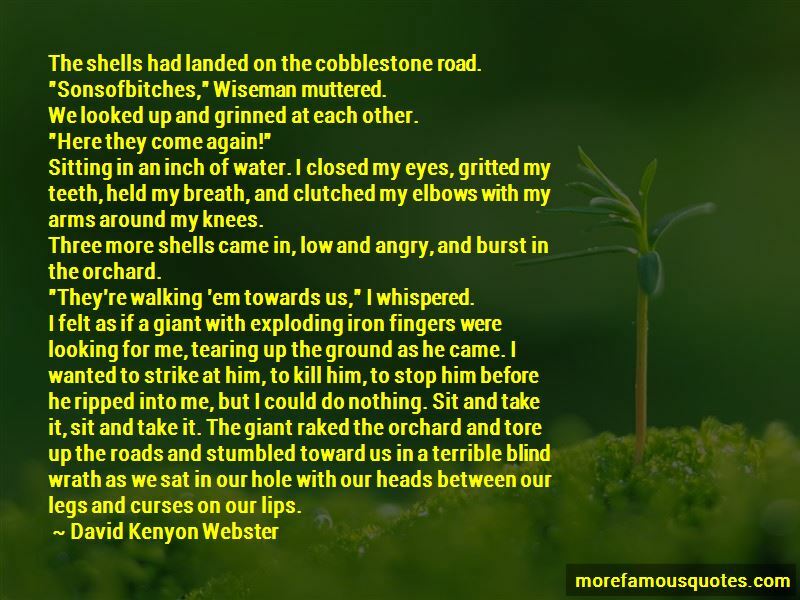 “The shells had landed on the cobblestone road. We looked up and grinned at each other. Sitting in an inch of water. I closed my eyes, gritted my teeth, held my breath, and clutched my elbows with my arms around my knees. "Theyre walking em towards us," I whispered. "They're walking 'em towards us," I whispered. 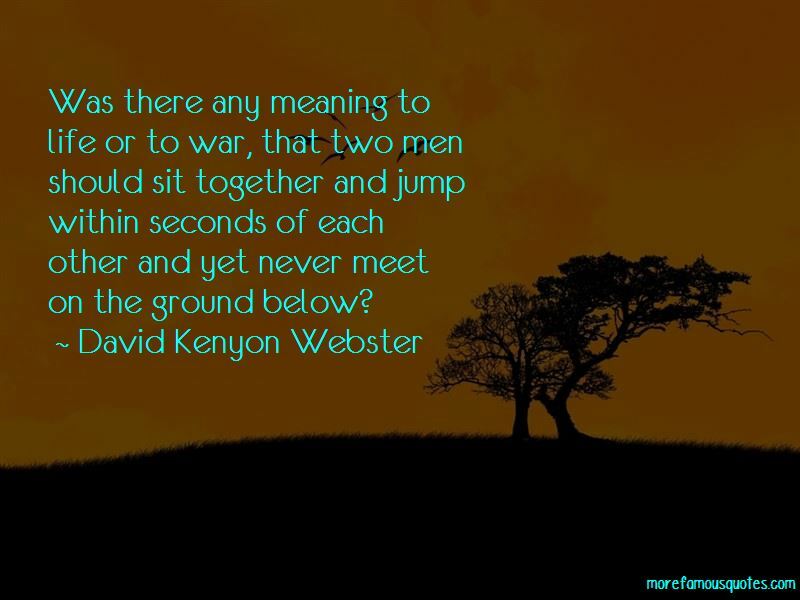 Want to see more pictures of David Kenyon Webster quotes? 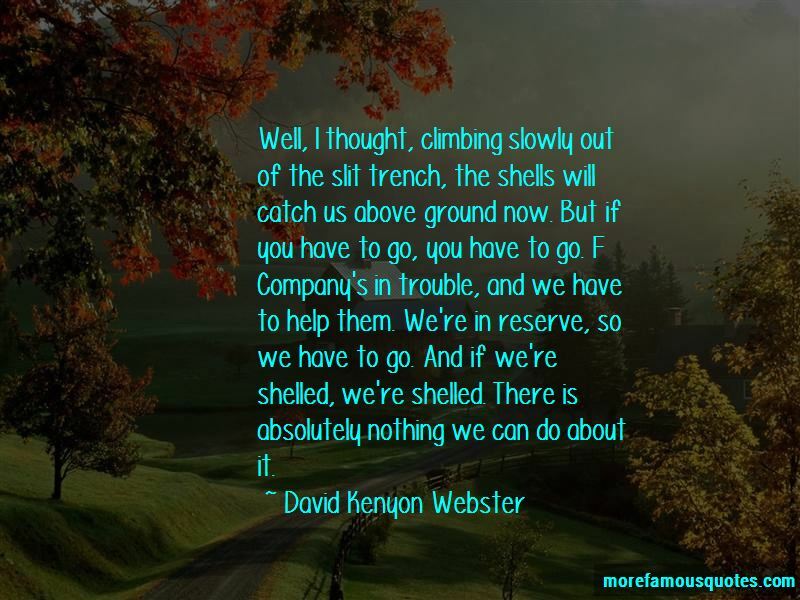 Click on image of David Kenyon Webster quotes to view full size.